Adverse event rates were similar across the treatment groups. 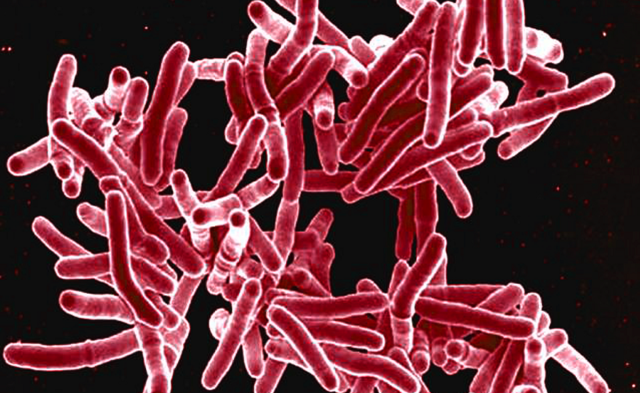 Patients with pulmonary tuberculosis who had linezolid added to their treatment regimen for either 2 or 4 weeks did not have higher culture conversion rates compared with individuals who received standard treatment, according to study results published in the Lancet Infectious Disease. In this phase 2 multicenter randomized open-label clinical trial (ClinicalTrials.gov Identifier: NCT01994460), negative culture conversion rates from patients aged 20 to 80 years with positive sputum for pulmonary tuberculosis but without resistance to rifampicin were compared among 3 randomized treatment groups following 8 weeks of treatment. The control group received ethambutol for 2 months with isoniazid, rifampicin, and pyrazinamide. The other treatment groups substituted linezolid for ethambutol at a duration of either 2 weeks or 4 weeks. Of the 429 patients enrolled, 428 were randomly assigned into 1 of 3 treatment groups. Of these patients, 143 were assigned to the control group, 142 were assigned to the 2-week linezolid group, and 143 were assigned to the 4-week linezolid group. Negative cultures in liquid media at 8 weeks of treatment were observed in 76.9% of control patients, 82.2% of the linezolid 2-week group, and 75.8% of the linezolid 4-week group. The difference was 5.4% for the 2-week linezolid group from the control group (95% CI, –4.3% to 15.0%; P =.28) and –1.1% (95% CI, –11.3% to 9.1%; P =.83) for the 4-week linezolid group. Furthermore, adverse event rates were similar across the groups, ranging from 57.2% to 62.8%. Resistance to linezolid was not identified in any patient during this short treatment window. Lee J-K, Lee JY, Kim DK, et al. Substitution of ethambutol with linezolid during the intensive phase of treatment of pulmonary tuberculosis: a prospective, multicentre, randomised, open-label, phase 2 trial. Lancet Infect Dis. 2019;19(1):46-55.